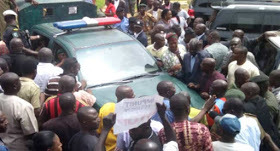 Supporters of the former governor prevented the Jos prison officials from taking him back to the prison after the court had granted him bail. The former governor, Jang, is standing trial for misappropriation of state funds during his tenure in office. 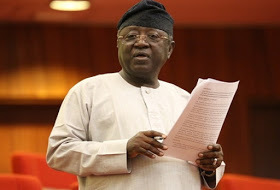 The Plateau State Governor, Simon Lalong, had in 2016 established and constituted a Judicial Commission of Inquiry to investigate the financial spending of the two tenures of former Governor Jonah Jang. However, the ruling judge, Justice Daniel Longji granted the former governor on the following conditions; two sureties in the sum of N100million each. One of the sureties must be a First Class traditional ruler within the jurisdiction, deposit of international passport. While the second accused is to produce two sureties with N50million each, one of the sureties must be a Permanent Secretary or anyone within the rank as well as submission of International Passport.